Ooh it is so hot today! Poor little cars can't deal with such heat! But Choo choo Train is here to help. It goes for hats and ice-cream for the cars. 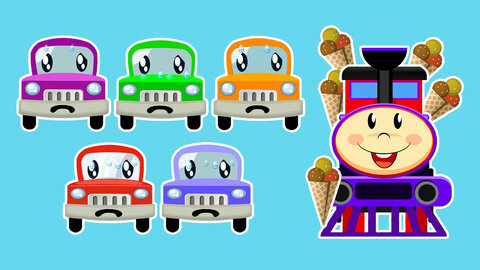 Help it - count how many cars there are, and match colors of the hats with the cars! Watch best educational cartoons for toddlers online for free at SeeZisKids.